IT’S Northern Ireland’s most senior public sector job but nine months after The Detail started asking about how the head of the civil service was recruited, there still remain important unanswered questions about the process and criteria used. The appointment of Dr Malcolm McKibbin to the post almost a year ago raised eyebrows at the time because the trawl changed from the previous practice of being an external process, to this time being carried out only within the Northern Ireland Civil Service and limited to its pool of permanent secretaries – the 10 most senior civil servants. 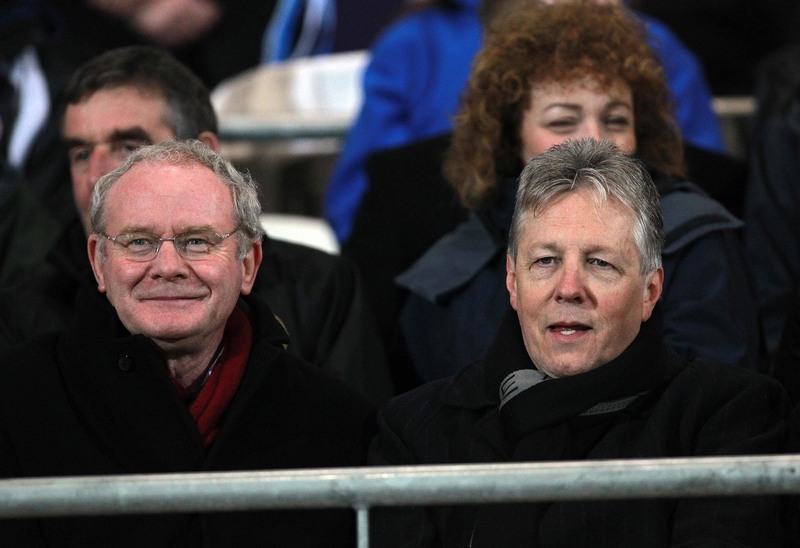 Documents obtained by The Detail from a Freedom of Information (FoI) request show the process this time featured significantly greater input from the First Minister and Deputy First Minister Peter Robinson and Martin McGuinness, who said that their role in the selection process stemmed from the need for the postholder to enjoy a “close working relationship” with them. One of their remarks is that “it is … very important that, in addition to having full confidence in both the experience and ability of the postholder, we are confident that we can work with the person appointed”. It took seven months and an intervention from the Information Commissioner’s Office (ICO) for us to get hold of the documents we requested. The Detail first approached the Office of the First and Deputy First Minister (OFMDFM) back in January, seeking documents under FoI about why the appointment was carried out in this way. We also asked for material which backed up a written answer given to the NI Assembly which stated that the process reflected what happened in Dublin and London. However the department refused to reply to our request for two-and-a-half months, then ignored the Information Commissioner for four months, only giving up a batch of documents – but not all – in late August after the ICO’s office issued a decision notice. The disquiet which this appointment process prompted is already in the public domain, with the SDLP among those who raised concerns about it while it was happening over a year ago. When we submitted our FoI request, we asked for all documents OFMDFM held which informed them about the equivalent recruitment processes in the Republic of Ireland and in Whitehall. However the response we eventually received back from OFMDFM stated: “No information held”. The written answer given 13 months ago also failed to address what our own research shows – which is that there were exceptional circumstances in London which provided a reason for an internal appointment to be made. We have also learned that the appointment process for a similar post in Dublin involved an invitation to make an expression of interest being circulated to all government departments to principal officers and above. All expressions of interest were considered. •	That OFMDFM is still refusing to give us documents which explain why the process was limited to the 10 permanent secretaries, citing exemptions preventing releases “prejudicial to the effective conduct of public affairs”. •	The documents show that the candidate information booklet was then “radically” revised and material “stripped out” when it moved from a public appointment process to internal. •	The interview date was timed around the availability of potential candidates and potential applicants were made aware of advertising dates for the vacancy. Serious concerns were raised last year by the Civil Service Commissioners, the Equality Commission and Environment Minister Alex Attwood when it emerged that only people holding the position of permanent secretary in the NI Civil Service would be invited to apply to become head of the civil service. The most senior civil service position has an annual salary of around £140,000. The postholder is also head of the Office of the First Minister and Deputy First Minister and secretary to the Northern Ireland Executive. The last time the position was filled – when the job went to Sir Bruce Robinson – it followed a publicly-advertised open recruitment process. Mr Hamilton also states in the letter that, following a review of the senior civil service, it had been policy that the most senior posts were filled by way of open public competition through public advertisement – apart from exceptional circumstances. 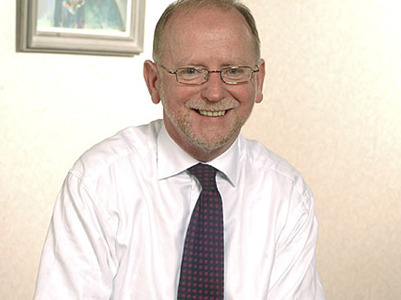 Despite this advice and the serious concerns raised by others last year, the First and Deputy First Ministers proceeded with an internal appointment process and in September 2011 it was announced that Dr Malcolm McKibbin – then permanent secretary in the Department for Regional Development – would succeed Sir Bruce. The documents now released by OFMDFM reveal some of the behind-the-scenes discussions which took place about the internal appointment – including how to respond to the public criticism of the process. We posed a series of questions to the department about the decision to go ahead with only internal competition for the post and also about what information it held on how this compared with Dublin and London appointments but OFMDFM has refused to respond to us. We emailed the questions to OFMDFM’s press office last Wednesday (October 3) and followed this up with two more emails and a phone message. None of these have been responded to. On January 24 this year we requested all documentation held by the OFMDFM relating to the recent recruitment to the post of Head of the Northern Ireland Civil Service including documents relating to the decision to confine the arrangements to internal competition within the existing permanent secretary group and any concerns raised by anyone in relation to this. We also requested copies of any documents held relating to how the decision to appoint internally only compared with the process used in England and the Republic of Ireland and papers relating to the appointment of Sir Bruce to the position of head of the civil service in 2008. On April 11 we lodged a complaint with the Information Commissioner as no decision had been taken on our request by the OFMDFM. A decision notice was issued by the ICO on July 16. This directed the OFMDFM to respond to our request within 35 days and it also stated that the commissioner was “particularly disappointed that OFMDFM failed to respond to his correspondence regarding this complaint”. Some of the documents were eventually released to us on August 24. For a full timeline and more details on the response of OFMDFM to our FOI request, click here. In its response letter, OFMDFM said that some of the information we requested was being withheld as it fell under exemptions in the Freedom of Information Act as it relates to the formulation of government policy and legal professional privilege. Other personal information was withheld and information which the department claimed would be “prejudicial to the effective conduct of public affairs”. •	The decision to confine the arrangements to internal competition within the existing permanent secretary group. •	Decisions made about the Candidate Information Booklet – including why it does not include a statement that the appointment will be made in accordance with the Office of Civil Service Commissioners’ Code (which states that exceptions to the merit principle should be rare). Despite stating in response to a written Assembly question that an internal recruitment process is also used in London and Dublin, OFMDFM also said it held no documents relating to how the decision to appoint internally only compares with the process used in England and the Republic of Ireland. This written question response (dated September 23 2011) also stated that the First and Deputy First Ministers believed that a similar approach should be repeated for some other appointments to the senior civil service in the future and that they would bring a paper to their Executive colleagues on this subject. We read through the released documents – which total 102 pages – and also researched how similar appointments are made in England and Dublin. For detailed extracts from the released documents, click here. The released documents jump from the advice issued by Nigel Hamilton in 2007 to an email written to Sir Bruce Robinson in February 2011 by Derek Baker – director of Corporate HR in the Department of Finance and Personnel. In this email, Mr Baker notes that the Civil Service Commissioners “have the final power of approval or veto over any external appointment” to the senior civil service including the head of the civil service. He adds: “We can be certain they would not under any circumstances set aside the merit principle”. On the same day, Sir Bruce writes to OFMDFM and says that the application of the merit principle means that in all competitions there is a clear ranking in order of candidates and that the post is offered first to the highest ranked candidate. On July 1, 2011 Sir Bruce emails the OFMDFM special advisors to suggest names to chair the interview panel “in response to our discussion”. On July 8, Sir Bruce writes to the PS (we assume this is the private secretaries) for the First and Deputy First Ministers and appears to confirm that it will be an internal competition with applications invited from the permanent secretaries who possess the relevant skills and experience. The panel’s recommendations will be provided to the Ministers for decision. The documents show that the candidate information booklet was then “radically” revised and material “stripped out”. The interview date was timed around the availability of potential candidates and potential applicants were made aware of advertising dates for the vacancy. On August 5 2011 Brenda McLaughlin, chairperson of the Civil Service Commissioners for Northern Ireland, writes to Bruce Robinson. Brenda McLaughlin writes again to Sir Bruce on August 26 after meetings with him on August 11 and recommends that he takes a view from the Equality Commission on the proposed appointment process. She writes: “It has always been the Commissioners’ understanding that the merit principle is equally applied during internal competitions. On August 25 2011, Bob Collins, Chief Commissioner at the Equality Commission for Northern Ireland, writes to Sir Bruce and says: “The internal competition precludes the possibility of a range of otherwise well qualified candidates being considered for appointment. In particular, it imposes a distinctly unbalanced gender competition particularly unfavourable to women. “It misses an opportunity to reflect best practice and the spirit of the legislation in offering equality of opportunity to the widest possible group in an appointment of such importance to the public life of Northern Ireland. “There may not be much that can be done in practical terms in respect of the current process which is well under way. However, the Commission wished that its views should be clearly conveyed to you and to the First Minister and deputy First Minister both to reflect its regret at the approach taken on this occasion and in the expectation that its clearly held position might be taken into account when any comparable arrangements are next being made. 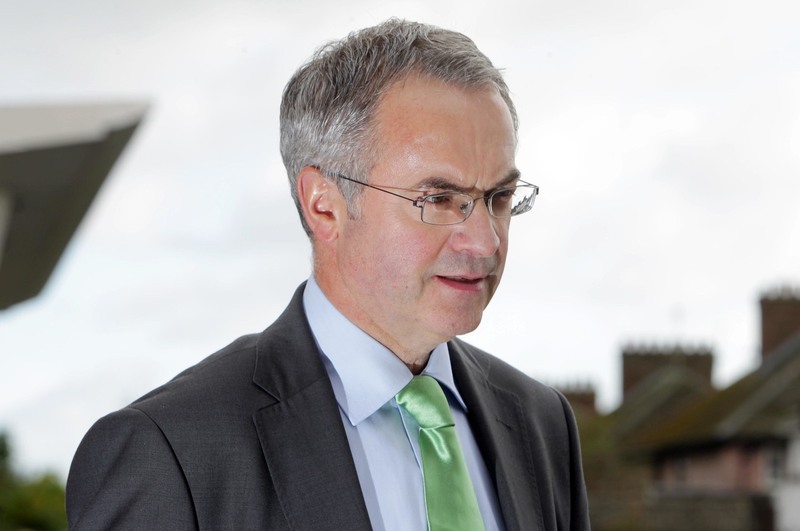 Environment Minister Alex Attwood wrote to OFMDFM on September 2 2011 to ask the ministers to review their decision not to appoint by way of public competition. Mr Attwood wrote again to the Ministers on September 13 last year asking that the interviews for the post be deferred pending a discussion about the subject at the next Executive meeting on September 22. On September 16, the First and Deputy First Ministers reply to Mr Attwood. They say they have “given careful thought to the processes to be used for this critical appointment and have agreed on an internal competition because of the need for the postholder to have intimate knowledge and experience of the workings of the machinery of government. In response to a written Assembly question from Dr Alasdair McDonnell on September 23 2011, the First and Deputy First Minister confirm that the appointment process for the new Head of the Civil Service is under way and that it is by internal competition. Mr Robinson and Mr McGuinness announced on September 29 2011 that Dr McKibbin had been appointed to the post. We researched how similar appointment processes were carried out in London and Dublin. Sir Gus O’Donnell announced his retirement in October 2011 after more than six years as Cabinet Secretary, Head of the Civil Service and Permanent Secretary of the Cabinet Office. At this point a decision was taken to restructure the top roles and this included that the role of Head of the Civil Service would be taken on by one of the departmental Permanent Secretaries who would retain their departmental responsibilities. Sir Bob Kerslake was appointed the new Head of the Civil Service in England in November 2011 and took up the post in January 2012 alongside his role as Permanent Secretary of the Department for Communities and Local Government. In Dublin, the Government appointed Martin Fraser to the post of Secretary General of the Department of the Taoiseach and Secretary General to the Government in July 2011. Prior to this appointment, Mr Martin was an assistant secretary in the department. We made inquiries about how this appointment was made. Andrew Patterson, director of the Office of the Commission for Public Service Appointments in Dublin, said: “All heads of government departments are appointed by the government. “There is no legislative imperative on the government to fill Secretary General posts following openly advertised processes. However in most, if not all recent cases, these appointments were made following an open process. We also contacted the Republic’s Department of Public Expenditure & Reform. A press officer there told us: “An invitation to make an expression of interest in respect of this post was circulated to all government departments. This invitation was made on the basis that before a decision was made by the government all suitable civil servants would be considered. 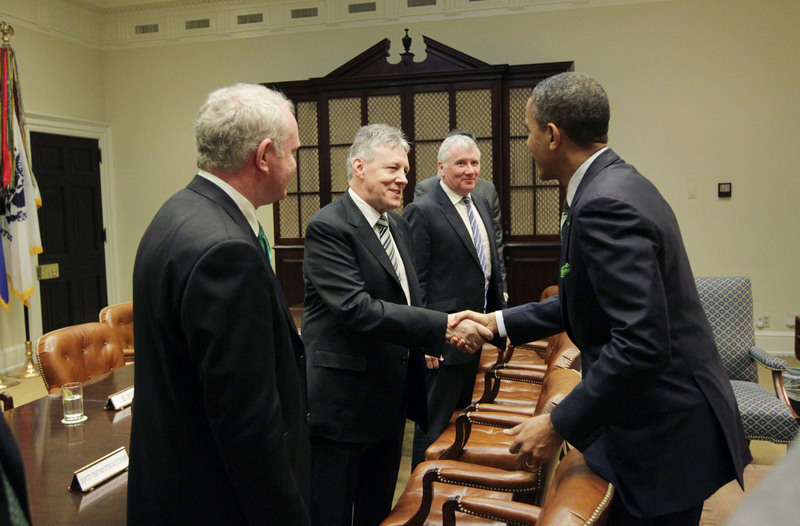 Martin McGuinness, Peter Robinson and Malcolm McKibbin meet Barack Obama. Last week, we sent five detailed questions to the OFMDFM press office. Since then we have sent two more emails and a left a phone message – all asking for a reply to our questions. We have received no response. 1. The response letter to my FOI request states that no documents are held by OFMDFM relating to how the decision to appoint internally compares with the process used in England and the Republic of Ireland. Can you confirm that this is the case? And if so, please tell me what contact OFMDFM had with government departments in England and the Republic of Ireland about this issue prior to deciding to appoint only internally. 2. An Assembly written question (dated September 23rd 2011) responded to by OFMDFM states: “In both London and Dublin this appointment is also an internal process.” This reply did not stress the important differences between the processes used in London and Dublin and Northern Ireland. In England, the latest recruitment to the Head of the Civil Service included re-structuring the post so that the head of the civil service would hold this position alongside being a departmental permanent secretary. This obviously restricted the recruitment process to only permanent secretaries. In Dublin, there is no Head of Civil Service post – the equivalent role could be considered the post of the Secretary General in the Taoiseach’s department. For the last appointment to this role, an invitation to make an expression of interest was circulated to all government departments and circulated to principal officers and above. All expressions of interest were considered. This is very different to the approach adopted in Northern Ireland, where the competition was confined to the permanent secretary group. Please tell me if OFMDFM was aware of these important differences but chose not to include these details in the response to the written question. If this is the case, would you agree that the response to the Assembly question was misleading and was not comparing like with like when it referred to all of them using an “internal process”? Or did OFMDFM not even inquire and find out exactly how the recruitment process worked in Dublin and London? 3. Why did OFMDFM ignore serious concerns raised by the Civil Service Commissioners, Environment Minister Alex Attwood and the Equality Commission about using an internal appointment process? 4. Why did it take seven months and intervention by the Information Commissioner’s Office for information I requested under FOI to be released to me? 5. The same Assembly written question referred to above states that the First and Deputy First Ministers would bring a paper to their Executive colleagues about using a similar recruitment approach for other senior civil service appointments. Has this paper been presented to the Executive? If not, why not? And if it has, what was the outcome?